Keep all the little ones entertained for hours with our 'Kids Activity pack' for endless amounts of fun to be had! Children in attendance will love their activity packs which interact with the wedding so they don’t feel left out! Pop the packs on a 'Kids Table' so the adults have some time to celebrate with the newlyweds knowing the children are happy. 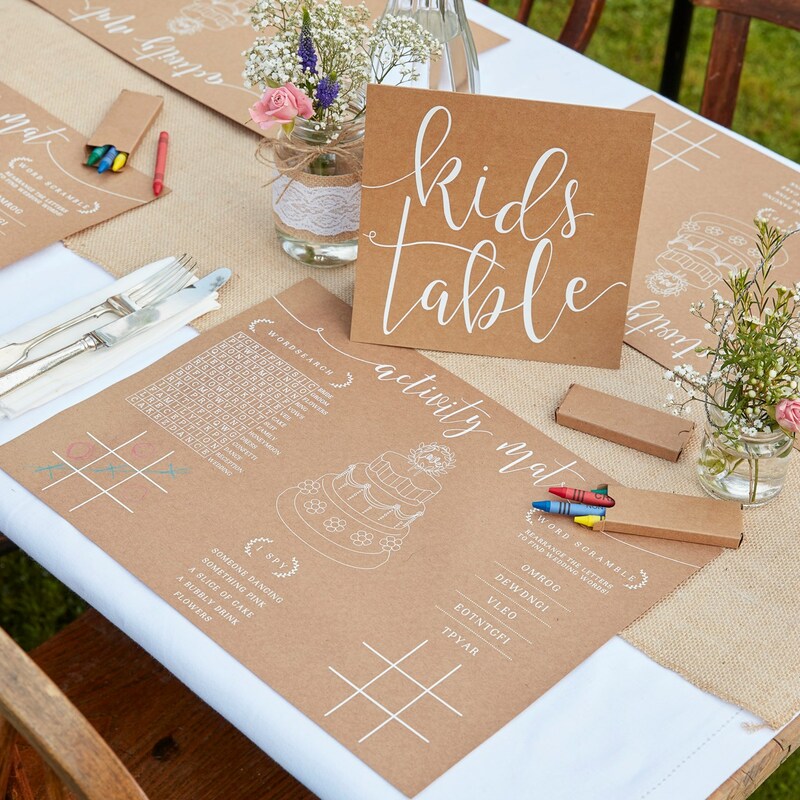 Pop the 'Kids Table Sign' on a table so children have their very own area where they will stay entertained for hours colouring and drawing. The kraft paper and white script writing are even in keeping with your rustic theme! Each pack contains 1x sign measuring 20cm (H) and 20cm (W). 8 Place mats measuring 30cm (H) and 40cm (W). 3 packs of crayons measuring 9cm (H) and 5cm (W).